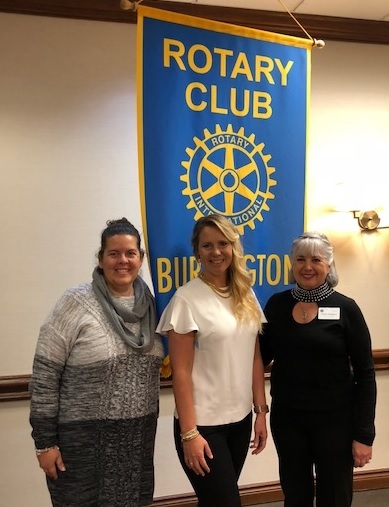 Angel Project - After significant discussions, the Rotary Club of Burlington has decided to partner with the Angel Project to help improve the lives of complex care patients in long term care. Lisette Kingo, shown in the middle below, is the founder and passionate driving force for the charity. The Rotarians share her passion and look forward to working together in the future.